Opposing pair of rare faience horse figures, elaborate handpainted decoration, on rectangular bases. Marked. 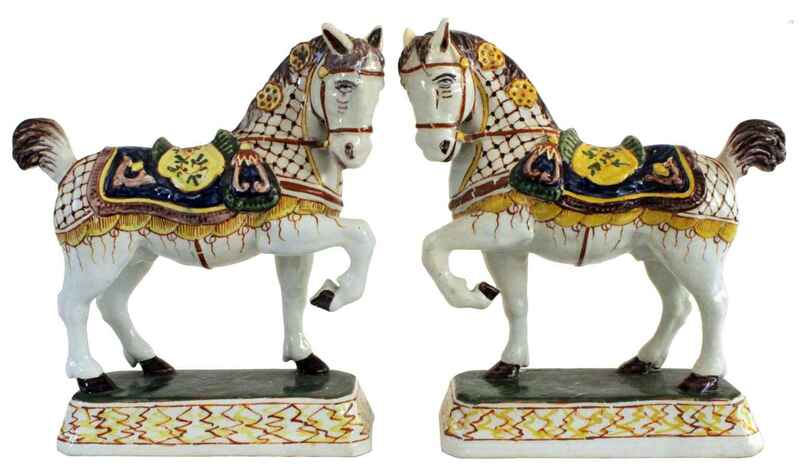 Opposing pair of rare faience horse figures, elaborate handpainted decoration, on rectangular bases. Marked. CONDITION: Excellent.